Tommy Donbavand - Author Visits Brickhouse! To celebrate World Book Day this year, and to continue our development of reading this year in school, we welcomed Tommy Donvaband, children’s author to school today. 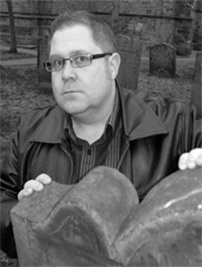 Tommy is the author of the popular 13-book Scream Street series for 7 to 10 year olds, published by Walker Books. His other books include Zombie!, Wolf and Uniform (winner of the Hackney Short Novel Award), Boredom Busters and Making A Drama Out Of A Crisis. He lives in Lancashire with his wife and two sons. He is a HUGE fan of all things Doctor Who, plays blues harmonica, and makes a mean balloon poodle. He sees sleep as a waste of good writing time. We know our children had a fantastic day with him! He worked with them to inspire their reading and writing as well as giving them a talk about being an author! Check out his books, your children have had them in their classes since Christmas!